Well, God is in the details, goes the saying. And Merritt’s songs — most famously made manifest by the Magnetic Fields, though he writes for several other groups (“I don’t know what the Magnetic Fields is, but the 6ths is like a gossip column, the Gothic Archies is like a horror movie, and Future Bible Heroes is science fiction”) and the musical theater, too — are often so ineluctably tuneful as to feel inevitable, despite their meticulous craft. But art also thrives on restriction, and Merritt gives himself lots of those. Whether he’s kidding about that or not, his new album’s moniker is decidedly more beguiling: Realism. Sonically, it’s the, er, photo-negative of Distortion, featuring the same number of songs, but using only acoustic instrumentation. (Well, save for a subtle electric guitar part Merritt recorded in 1986 and kept in a drawer until he found a home for it on the “The Dada Polka.”) He toyed with the idea of calling the two albums True and False, but he couldn’t decide which should be which. As for why the cover of Distortion bears a mens’ room sign, while Realism has a ladies’ room icon, Merritt declines to elucidate. Realism is, to his way of thinking, an orchestral folk opus in the vein of Collins’s two mid-60s albums with arranger-producer Joshua Rifkin, In My Life and Wildflowers. Though it was inspired by the genre and the era through which confessionalism began to invade pop music, to infer that the Realism songs are any more autobiographical than Merritt’s others would be to err. “I prefer not to tell the listener what to feel, let alone what I feel,” he says. The group plans not to repeat any of the setlist from its prior Lisner concert (Oct. 2008) save for one. (Merritt declines to name it, though maybe there isn’t a T-O-N, Baby, of suspense on that front.) “Lacking a rhythm section, we have to be extra perky and varied,” he says. “No one’s allowed to fall asleep. Except for when we play ‘From a Sinking Boat,’” a drowning sailor’s mournful farewell to his love. Merritt recorded it in his bathroom. Besides those earwormy melodies, Merritt’s songs are also notable as the delivery system for a humor blacker than the finish of a Steinway grand piano. He’s bitter. He’s funny. He understands the idiom of the pop song on a molecular level. And he’s accustomed to publicly eviscerating music he dislikes, having worked as a critic for Time Out New York. This, America, sounds like the resume of an ideal replacement for departing Idol judge Simon Cowell. 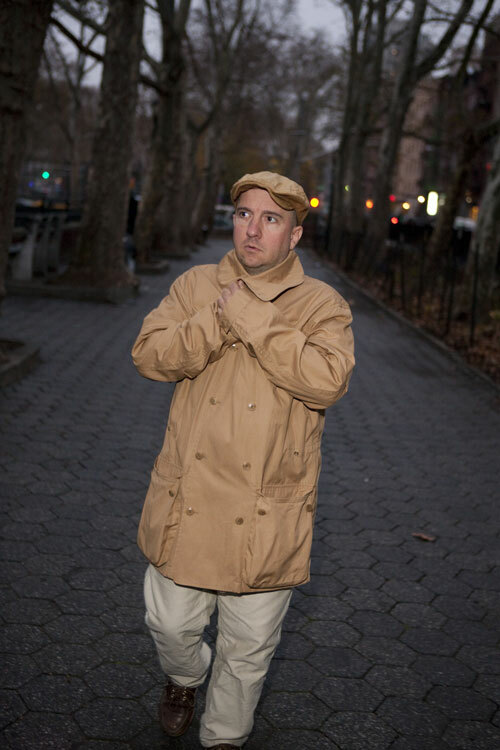 The Magnetic Fields perform tonight at Lisner Auditorium, 21st and H Sts. NW, at 8 p.m. Tickets are $35 at the box office, or call (301) 808-6900. A version of this story appears in today’s Examiner. This entry was posted in music and tagged music, songwriting, Stephin Merritt, The Magnetic Fields, The Washington Examiner. Bookmark the permalink. they only played WDC during the encore at that show and Claudia couldn’t even remember the lyrics!